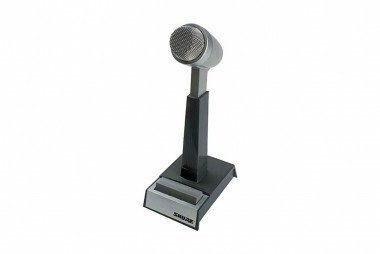 The Model 522 is a dynamic base station microphone designed especially for radio communications, paging, and dispatching systems. Its cardioid (unidirectional) pickup pattern suppresses unwanted background noise - the type of noise generated by other dispatchers working nearby, by ventilating equipment, or by office machines in the same area. It also eliminates or reduces feedback in public address paging applications.